Earlier this week I posted my Weekly Menu Plans for this week and I mentioned that I was making Burger Dips. I’ve had a few people ask me about this different way of serving burgers. I wish I had taken pictures as I assembled them but alas I did not. I’ll state right here at the beginning that I simply copied what I have been able to order here at a few local restaurants. Nothing fancy and no special recipe. But before I get to that I’m taking a walk down a bunny trail towards memory lane. The Burger Dip is really a variation of the French Dip: thinly sliced roast beef piled high on a sandwich roll and served with Au Jus for dipping. It was my daddy that introduced me to the French Dip sandwich. I don’t remember how old I was but I was little girl. He had taken us all out to dinner and he suggested I try the French Dip. The French Dip is a sandwich that I have frequently ordered through the years. The Burger Dip is just a hamburger patty served on a toasted sandwich roll and served with Au Jus for dipping. I think the key to good Dip sandwich is the type of bread or roll used. It has to be sturdy enough to withstand being dipped. A regular hamburger bun, even toasted, really just turns to mush which dipped and just does not work for me for a Dip. I like hard rolls or French Bread. 1 roast, about 1 1/2 cups water, about 1/4-1/2 cup Soy Sauce (I use Braggs Liquid Aminos) and garlic. You can use fresh minced or powder. I put the roast in the crock pot, measure out some Liquid Aminos and fill the measuring up to 2 cups liquid and pour over roast. I sprinkle it with garlic and let it cook all day. This makes an excellent French Dip. The au jus is also wonderful for making gravy and having roast beef with mashed potatoes and gravy. For my Burger Dip, I cheat. I buy the Au Jus packets from the grocery store and follow directions on the packet. For the burger part, I sometimes just use the frozen hamburger patties but my preference is to use fresh ground beef and shape the patties to match my sandwich roll. I also prefer to use the outdoor grill for the hamburger patties but frying them in a skillet or on a griddle works, too. My husband is not a fan of Dip style sandwiches. When I make the roast beef he skips the Au Jus and just puts BBQ sauce on his sandwich. For the Burger Dip, he just takes his oddly shaped patty and treats it like he would any other hamburger: adding ketchup, mustard, pickles etc. I love that I can get what I want and he can have what he wants! If your family, church group or homeschool group likes messy, slimy fun, then I have just the product for you! As a member of the TOS Review Crew, I received a sample pack of Yuck from Buckets-O-Fun. The sample pack contained samples of Chunky Yuck, Saucy Yuck, Snowy Yuck and their newest Yuck product, Sticky Yuck. Yuck is a polymer which means it is a “large molecule formed by repeated patterns of chemical units strung together.” (from the Yuck Science with Buckets-O-Fun handout included with our samples). Chunky Yuck: This is the first Yuck that we tried. When fully hydrated, it resembles ice machine ice cubes. The texture reminded me of finger Jello. Buckets-O-Fun included a hand-out with some science related activities to try with our Yuck. We took it a step further and used our microscope. We started by looking at the dry Chunky Yuck under the microscope. We did observations of the color, texture and smell. We measured the quantity and then began to hydrate the tiny rock salt size pieces. We wanted to do some science experiments such as comparing how well a seed would sprout using Yuck as a water source versus a wet paper towel, but I just was not organized enough to pull it off. Because it is the consistency of jello, it does break apart easily when stirred or handled. When Tailborbear finished her search and rescue game, the nice large chunks of Yuck resembled a bowl of jello peas. Though the literature that came with the sample stated that you could use it again, in my opinion it really is a one use type of product. Saucy Yuck: A few days later we tried Saucy Yuck. Saucy Yuck has the consistency of applesauce. None of the girls, nor I, cared for this one. Perhaps it was because we are girls or we don’t like really messy things but this one didn’t even appeal to TailorBear who isn’t usually bothered by texture issues nor does she have sensory issues. Turtlegirl, however, does have sensory issues and strongly dislikes this type of texture. Supergirl ran away from us and BooBear didn’t want to be bothered. I can see this product being used with an OT to work on texture issues but for playing purposes I do not recommend this variation of Yuck for anyone who struggles with textures and sensory issues. Snowy Yuck and Sticky Yuck: After waiting a week or so, we decided to do both Snowy Yuck and Sticky Yuck at the same time. We wanted to compare the two types of Yuck. Once again we got out the microscope and examined each one. We did the same observations as we did for Chunky and Saucy. After examining both Snowy and Sticky, I had the girls predict which one would absorb water faster and be ready first. Supergirl stuck around and even dragged a chair over so she could be part of the action. BooBear manned the microscope and then allowed us all to have a peak. At first we thought we had ruined the Sticky Yuck by adding too much water. Supergirl was content to just keep stirring so we let her stir to her heart’s content while we focused on the Snowy Yuck. The Science Activities brochure contained two additional suggestions for Snowy Yuck and we tried them both. We all loved the Snowy Yuck. It was a fun texture to play with and all of us enjoyed squeezing it through our fingers and making clumps. The girls all agreed that Snowy Yuck was the favorite of the four and would be the one Yuck product that we would consider purchasing. At some point we noticed that the overly watery Sticky Yuck had transformed into a goopy slimy sticky gooey glop in the bucket. We all took turns playing with it using the spoon and all though each of us took a turn actually touching the stuff, none of us could be persuaded to actually put our hand in it. It was fun to stir it and to use the spoon to see how far it would stretch but other than that we were not interested in playing with it. My Thoughts and Impressions: As a home school tool for learning about scientific observation and creating our own experiments, I find Yuck, especially Chunky and Snowy, to be very appealing. Though we did not have time or enough product to try our ideas here are two that we would have liked to do: 1) mix dry Yuck with different liquids to compare how well they hydrate 2) create different growing experiments with seeds to see which type of Yuck provides the best hydration for a baby plant. More about Buckets-O-Fun and Yuck: Buckets-O-Fun also included a hand out listing some of the games and activities you can do with Yuck. Most of the games required more Yuck than we were given and were intended for large groups such as a birthday party, home school group event or perhaps a Church Youth Group event. Most of the ideas seemed appropriate for Chunky or Saucy with one specifically designed for Snowy. Be sure and check out the website for Buckets-O-Fun for their other products such as toys for water fun, inflatable fun, rubber barnyard animals, finger rockets and even accessories for Yuck. Buckets-O-Fun states that their products appeal to all ages from 5 to 95. I don’t know that I would necessarily agree with them. I think it is appealing for those in the 20 something crowd and younger with the greatest appeal being for the junior high and younger crowd. But I am not the mother of boys and my view may be skewed because I only have girls and I have never been interested in being slimed. Each Yuck product is available in 1lb, 5 lb and 50 lb packages ranging from $16 to $600 depending on size of package and type of Yuck. You can find information for ordering Yuck on this page. Many of my crew mates also reviewed the Yuck product. Click on the banner below to see what fun things they did with Yuck. Disclaimer: As a TOS Crew member, I received a sample pack of Yuck to review. This review is my honest opinion. I received no compensation. Note: Photos and images in this Blog Entry are taken from the Buckets-O-Fun website to aid my review. I went radio silent again. I’m breaking the silence of my blog with a short and simple list of what I’m planning for meals this week. Tonight (Sunday)—Burger Dips (a fancy way to do burgers) with some chips and fresh fruit.. maybe a salad if I get ambitious. Monday--- Turkey Soup. I’ve got turkey broth cooling right now and tomorrow I’m going to attempt to recreate my dad’s turkey soup. My dad made the absolute best soup. Tuesday--- I’m making a ham and potato cheesy casserole type something or another. I’ll take some frozen diced hash brown potatoes and mix them with bite size pieces of ham and cover it all with a creamy cheesy sauce. I’ll serve it with a salad and some veggies. Wednesday--- “Sloppy Joes” I’m planning to rehydrate some TVP and mix it with a can of Manwich sauce. Wednesday is Piano day and we get home very late in the day and I need something quick and easy. I’m thinking of serving it with some veggie sticks and some chips. Thursday--- Something Mexican. Haven’t exactly decided yet but I’m leaning toward Chicken Tacos. We’ll have some Mexi-Rice and Corn with them. Friday—I haven’t really planned out Friday because we’ll be participating in our Church’s “Feed the Hungry” program. In the past we’ve been told to “eat. You need to eat too so get a plate and eat.” There are some people you just have to obey. It’s easier than arguing. I reserve the right to change, delete, rearrange or substitute as needed! What are you planning this week? Let me start off by saying that the day was not really perfect. We planned to get some school done but I’m pretty sure no formal academics were achieved. We’d planned to go to the post office to mail a package to a dear friend, but honeybear left the card with the address in the kitchen and the girls couldn’t read daddy’s writing when we called. We’d talked about going to the park to feed the ducks again but time slipped away from us and we didn’t make it. So what made it the perfect day? Well it was a lazy day of relaxation that I desperately needed. It was a relationship building kind of day that my honeybear and I needed. We had noticed that we were being grumpy and grouchy and that we’d really not had a date in ages and with the girls so much older now we’d been having them fairly often. We had looked at our schedules and decided that we needed a date. We set a date and told the girls but we hadn’t made concrete plans. But the date we set was not for the perfect day; it was scheduled for two days later. We slept in really late in the morning and had coffee in bed. I made the comment that I couldn’t remember the last time we’d had coffee in bed. He commented that he wasn’t sure we’d ever had coffee in bed. I don’t think we left our room until after 10am! We sat in bed drinking coffee, laughing, talking and relaxing! The girls would come in and out to check on us (thanks BooBear for bringing the coffee!) and I could see from their expressions that they were happy that mom and dad were spending some time together. While we lounged around with our coffee the girls, especially my 15 year old, were busy getting waffles and Morning Star sausage patties ready for brunch. I came out to the kitchen smelling waffles. What a wonderful way to start the late day! We briefly decided that because we’d taken the morning off, we should probably do some school in the afternoon. But it was afternoon and it was just so pleasant to just relax. The girls did fold several loads of laundry while Daddy read a few chapters from a read aloud and I played on the computer and talked to a friend on the phone. Then Honeybear and I attempted to do some errands. It really wasn’t supposed to be a date. We really had things to do. We had to go to the bank and the post office. We had to get gas and milk and I wanted a coke. Off we went to the bank first. Then it was off to Safeway to get the gas and milk (and coke!). We opted to go inside first to get the milk and ended up at the deli getting a dinner for two and having a very late lunch date. It wasn’t the date I had planned but it was still a date. So we picked up some pizza to bake later for dinner, got a gallon of milk and a 2 liter of coke but realized that we did not have the address for the package we needed to mail. As lunch had been rather late, dinner was on the late side as well but I think the whole family enjoyed the old Muppets movie with their pizza. Normally, I would fret and worry and be stressed out about “not having gotten anything done.” and I’d have been complaining bitterly about “wasting the day” but I find I just can’t help thinking that coffee in bed was very much worth not getting anything done. Sometimes stopping to smell the roses (or coffee) isn’t a luxury, it’s a necessity. Today? I am so thankful that I was on the list. There are some things in life that you think you can live without, then you experience them and you wonder how you would live without them. You become dependent on them. LanSchool is one such product for my family. We use it every single day! What is LanSchool? LanSchool is a software program that allows networked computers to be managed by a teacher. But what does that mean? In today’s world computers are used more and more as tools for education. With LanSchool a teacher can sit at her desk and using the Teacher Console view what each student is doing on his computer. The Teacher can limit applications, web sites or even printing ability. But it’s more than just limiting what a student can use on the computer. The student can ask the teacher a question via LanSchool and the teacher can respond in several ways. But there’s more! The teacher can browse the internet with the student. The teacher can show her screen to one or selected or all students. The teacher can show one student screen to other students. What if the student is goofing off? The teacher can “blank” the student screen. She can even customize a message for the “blank” screen. The teacher can also take control of the student computer through a “remote control” option. I could go on and on about the features but I’m more than likely to miss one. You can read more about the features of LanSchool here. How we’ve been using LanSchool in our home: Reading through the features, it’s still really hard to get a grasp of how this actually works, especially in a home school environment so I want to share how we’ve been using it. Teaching: We are learning the Greek alphabet in our home school. I used LanSchool to help me teach the girls the letters. I opened a blank Word Document so that I would have a “white” screen. Then I clicked on “Show Screen”. I then chose to “draw on screen”. The girls sat two at each student computer and both student computers were in hearing distance of my voice. I would draw the Greek letter and the students would say the name of the letter and the sound it represents. Though I have not yet done this, I could choose to demonstrate a letter and then “quiz” them by creating a question (either multiple choice or true/false). So I could draw alpha and then using the tools send them a true/false question like “this sounds says d as in dog” (for those of you not studying Greek the answer is false. Alpha says a as in father). Using Lanschool was easier (and more fun) than standing at a whiteboard trying to draw the letters. Assisting: Three of my girls are using a computer based software curriculum for a few subjects. To say that LanSchool has been a blessing with helping me to assist my children would be an understatement. In the days before LanSchool, if one of the girls had a question or needed assistance, I would have to physically go to their computer to see what they needed. Or they would have to come find me and tell me what they needed and I would have to open up the program on my computer, but with LanSchool they can let me know they need help and I can pull up their screen on my computer. If necessary, I can then use the remote control to assist with the curriculum. I really love the View Screen and Remote Control options! We have a few online subscriptions that require logging in to use. Sometimes the girls forget their password or have some other trouble logging in. I can use LanSchool’s remote control to type in their password or assist with logging in. Again this saves me from having to physically go to them to provide assistance. Monitoring: With LanSchool, I can monitor my girls’ activity on the computer. I can have the Teacher Console open to a thumbnail view so that I can see what they are doing on the computer. When one of them decides to check out her playlist at iTunes instead of working on her history lesson or another one decides she wants to find out more about the legend of Robin Hood instead of researching the geography of Rhode Island for her 13 Colonies Report, or the third one is playing some type of game instead of taking her LA test, I can cause the student computer screen to go blank with a simple message. The default message is “Eyes to the front of the classroom, please”. I customized the message with a question: “Is this what you are supposed to be doing?” Though I have not done so, I can check web browsing history, key strokes and even take screen shots. I love that I can be at the kitchen table with Supergirl working with her on her phonics or math while I have LanSchool teacher console open on my laptop right next to me. I can provide assistance and monitor my other children while still supervising and teaching Supergirl. I feel much more efficient as a parent teacher. Just for Fun: I have used the Chat Feature with my husband to chat with him without the girls “overhearing”. I’ve used the “Vote” (question) option to poll my family on what kind of pizza to have for dinner. My husband likes to show me things he is reading on the web. In the days before LanSchool he would call out to me to “come over and see this.” Now he calls over to me “hey can you pull up my screen and take a look at this.” If I have something that I want to show him, I call out a warning and then I use the “Show Teacher Screen” option to share what I’ve found. As a member of the Review Crew, I received the Home Version which retails for $99 and is valid for monitoring up to 3 computers. The home license is free for educators, however, home schools are not included. There is a trial version available here. You can see the full range of options for educators and corporate licenses here. Click on the banner below to read what my fellow Crew Mates have to say about LanSchool. Disclaimer: As a TOS Crew member, I received this software from LanSchool free of charge so that I could provide my honest review. I received no compensation. A few days (week or so?) ago I posted on Facebook that I was making Chloe’s Virus Killing Chicken Soup. Not unexpectedly, I was asked for the recipe. Chloe is an amazing woman and I am so blessed to have “met” her on a couple of forums and to be “friends” with her on Facebook. I’m linking to Chloe’s recipe on her blog: Chloe’s Virus Killing Soup. You’ll want to read her original recipe because she includes veggies that I haven’t used. I did a swagbuck search to see if anybody else had posted Chloe’s recipe and I found this and this. So now that you know where it came from let’s talk about where I took it. In a large soup pot place whole rinsed chicken, garlic and seasonings. Add water to cover chicken completely. Chloe likes to use organic chicken broth in place of some of the water but I use just water and still get a great chicken broth. I like to bring the water to a boil and then reduce heat and simmer until the chicken is done. I cook it until it’s wanting to start falling off the bone. Remove chicken and drain (but reserve!!) the broth. Set the chicken aside to cool. You’ll need the broth for the next step. When all the veggies are tender I add in the chopped chicken and add salt and pepper to taste. I love serving this with French bread. You can add other veggies if you like or omit what you don’t have on hand. I have made a vegetarian version of this soup. I start with with boxed organic NON Chicken Chicken broth (from Imagine) so I omit step 1. I mince the garlic instead of chopping it and I add it to the veggies while sauting. Sometimes I omit the wine when doing my veggie version. After sauting the veggies with the garlic, I add the boxed NonChicken Chicken broth and I add the red pepper. Continue as in steps 2 and 3 but of course I don’t add chopped chicken <grin>. I have also done a “short cut” version where I start with a rotisserie chicken. I start by removing the chicken from the bones and throwing the bones and skin in a soup pot with boxed organic chicken broth, chopped garlic and cayenne pepper. I bring it to a boil reduce heat and then simmer for about 30 minutes. I then proceed the same as steps 2 and 3. My favorite (and I think the most effective for killing viruses) is the making broth from scratch with a whole chicken but the other two variations are very tasty and still full of immune boosting goodness! I need organization to keep my sanity! I am the kind of person that needs some type of structure to function, but I am also the kind of person who rebels at too much structure. I picture it like a horse in a pasture. I need the fence to keep me where I am supposed to be, but I need the open space within the fence to move around and explore. I am a perfectionist though and so many times I have been so hard on myself because my system was “perfect”. I’m learning to relax though and I’m learning to find the fence and give allowance for my open space. If you haven’t guessed by now this week’s Blog Cruise question asks “How do you organize your homeschool?” My first response was “I can’t write about that. I am so NOT organized.” But you see that was the perfectionist talking. I wasn’t going to respond to this week’s question at all but I woke up this morning realizing that I do have some structure in place. It’s not perfect but for the most part it works to give me a sense of order so that I can corral the chaos. But before I get to what *is* working for me, let me share about some organization tip that I tried last year that didn’t work for me, but maybe it will inspire you and work for you? A Working Binder for Mom: I still love this idea but I just didn’t *use* it the way I intended it to be used. The idea was to have about 3 weeks’ worth of materials that I needed for teaching my four girls. Each girl had a tab and behind that tab would be the Sonlight Study Guides needed for those weeks along with the IG Scheudule pages and my own assignment calendar from HST+ . I had tabs for subjects like science where I kept copies of Science Lab sheets. The perfectionist in me says “Don’t look too closely.” You might notice that it says 2009-2010 because I haven’t set it up for the current school year. I am trying to squash the voice of the perfectionist. The way I set it up last year didn’t work. I’m trying something different this year and maybe I’ll get around to putting on a new label. I do like having a binder with master copies of answer keys and sheets that we need such as Science lab but it just doesn’t work for me to have a tab for each girl. I could try to make myself fit the organization but I’m too lazy to change me so I’m changing the organization to to fit me. So what have I organized (albeit imperfectly) that is working for me? School Supply Bins: Let me show you! There are bins for crayons, markers, stickers, flashcards, animal counters etc. This has worked out very well for us for the last couple of years. We started out using this bin years and years ago when the girls were little. We used it for storing toy or “toy sets”. All the cars were in one bin, the little people farm stuff in one bin, the tea cups in another etc. It isn’t always perfectly organized and I can get really frustrated at times when I pull out the stickers for Supergirl and some sister has just tossed a bunch of crayons on top of the stickers but for the most part I can find what I need when I need it and things don’t come tumbling down on top of me. I don’t have a picture to share but I have another idea that we’ve used for years that works really well. Magazine Racks to hold workbooks: I got so frustrated with trying to keep workbooks or any soft cover thin book on the book shelf. They don’t stand up well and when you pull one out books fall over and it’s frustrating for young people. Oh and we would *lose* workbooks. So each girl has a large size rack that holds spiral notebooks, timeline notebook, workbooks and anything else that won’t stand on a shelf nicely. I have several that I use for storing teacher guides/answer keys. I have one for Math which holds the MUS teacher guides and the Right Start Math Games and Level A instruction materials. I have another one for our Greek stuff and another one for that holds my teacher books for things like Grammar and Learning Language Arts through Literature. Like any system though, it only works if you actually use it. So, though we are more likely to not lose things and more likely to find what we need, there is still the (not always rare) occasion when a student fails to put the notebook/workbook back in the rack or they put it in the WRONG one. *sigh* The perfectionist hasn’t yet learned to cope well with the lack of cooperation. But for the most part it works very well for us! One last tip (with pictures too!) for organizing a literature based home school. Labeled Books: We use Sonlight and that means lots of books. We use more than one Core so that means even more books. I have found it easier to both label books and dedicate a shelf to each current core. The label serves as a visual reminder of which set the book belongs to and it makes it easier in the future when I am pulling books from the general shelves when repeat a core with another daughter. The pale yellow color indicates Core 100. The letter H means history and the letter L means literature. Other labels would be R for reader and RA for Read Aloud. R’s and RA’s are not part of Core 100. Because I am trying to get over my perfectionism I will end this with a picture of my not yet labeled Core 200 books. Someday I’ll get them labeled but I refuse to give in to the perfectionist and think that I can’t start reading them until they are labeled. Be sure and check out what my fellow crew mates have to say about organizing their home schools! Gasp! Here it is the beginning of October and I realized I have not posted since Sept 22 with my Salem Ridge Review. I’m breaking the silence of my blog to announce that I do have a couple of blog posts up my sleeve to post this week. You’ll want to look for a posts about: organizing your homeschool for the Blog Cruise, a review for Lanschool Technologies, our staycation time with daddy at the end of September. I have some follow up posts planned for conquering laundry (or not!) 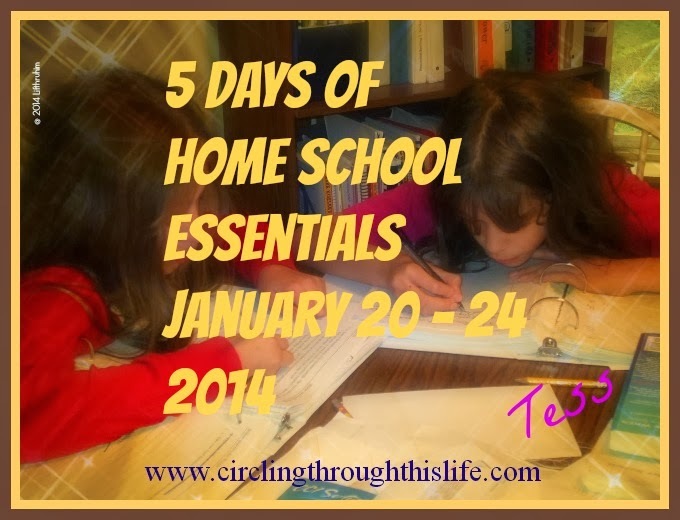 and my personal experience coping with homeschool burn out. Oh and maybe I’ll even get chatty about my birthday.